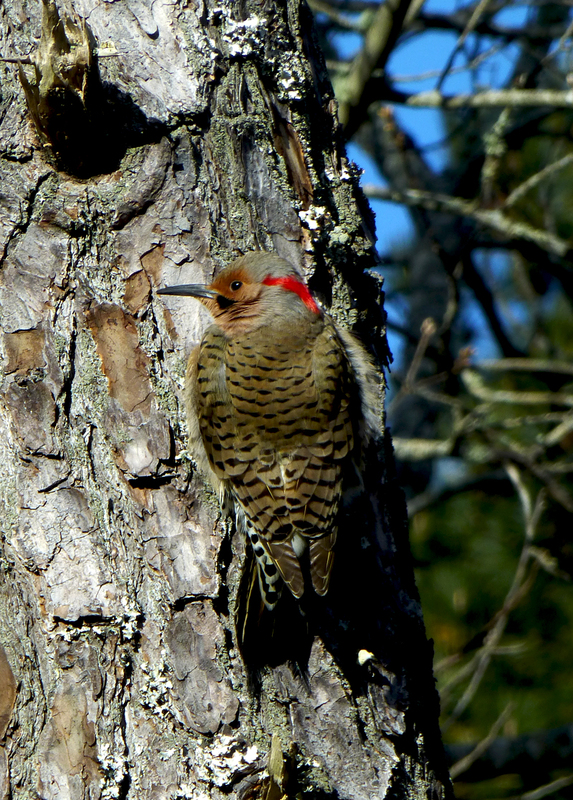 Northern Flicker In Our Yard On Cape Cod. 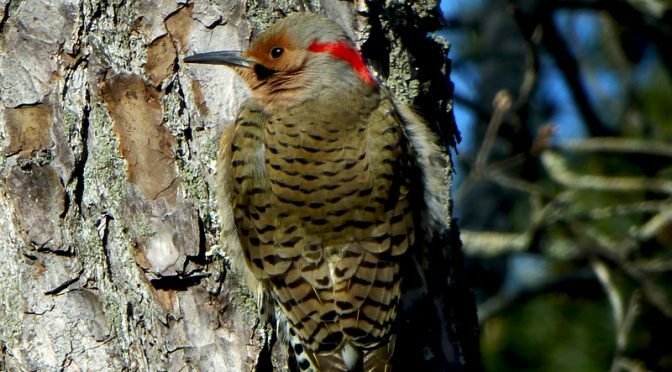 I love the Northern Flickers that hang out in our yard here on Cape Cod. They are a hoot as they try to get food out of the bird feeders or as they take a bath in our birdbath. This Northern Flicker was resting on the side of the tree outside our bedroom window. Previous PostThe Cattails Were Huge Overlooking Nauset Marsh On Cape Cod.Next PostCape Cod Bay Flats At Dusk Were Spectacular! Looking for a snack beneath the bark? Maybe…or just trying to stay warm in the sun?